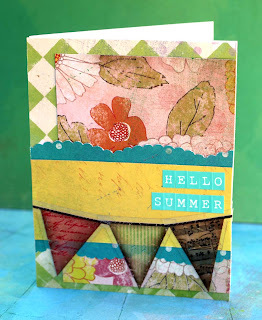 Today I'd like to share with you a couple of summer themed projects plus a Father's Day card idea. The Afternoon Muse line was prefect for my spring layouts and now I'm seeing that the colors are perfect for summer too. 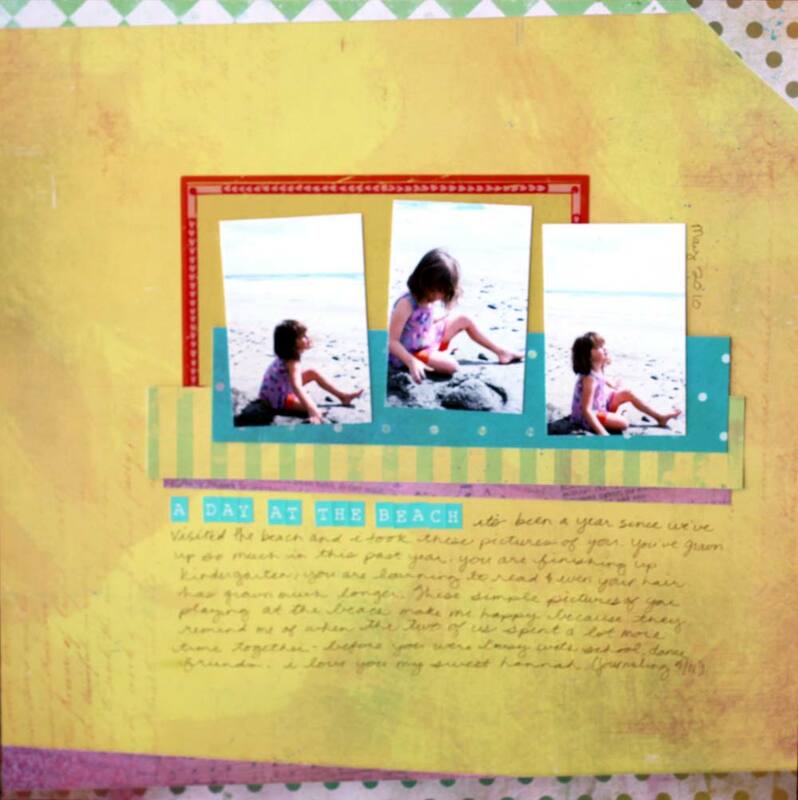 On this layout I used that Afternoon Muse line with photos of my daughter from a trip to the beach last summer. The journaling talks about how much she is growing and how special my sweet girl is to me. Next, I decided to make a card celebrating summer. The bright yellow and aqua colors are perfect for summer themed projects. The last thing I would like to share today is a Father's Day Card idea. 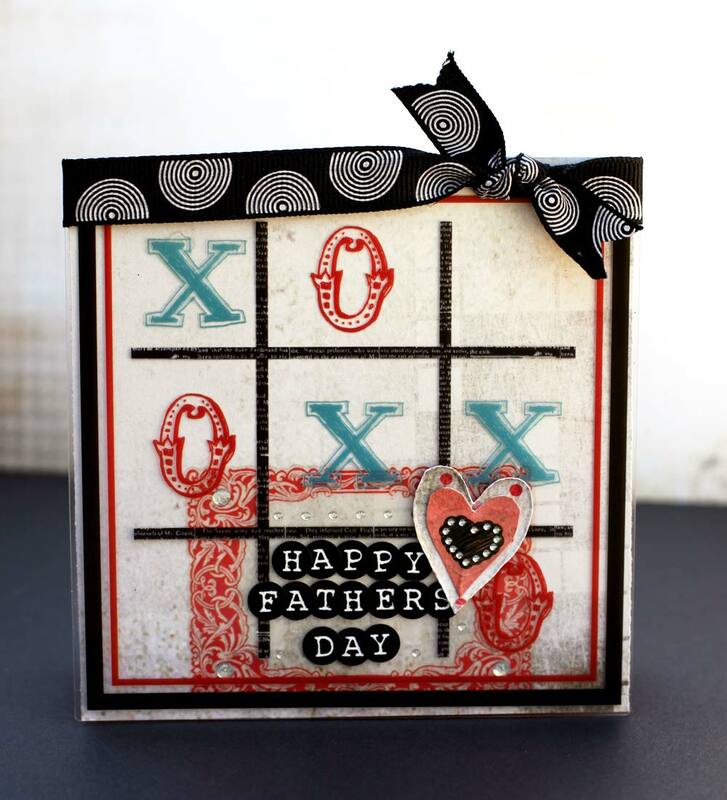 The Love Games XOXO Peek a Boo Transparency was a perfect base for this card.